Hours later, a small field hospital in the region was struck and destroyed, according to a civil defense worker in the area. There was no information if anyone was killed in that attack. 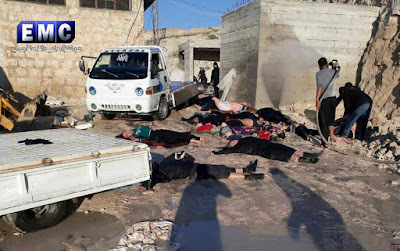 The Britain-based Syrian Observatory for Human Rights monitoring group put the death toll from the gas attack at 58, saying there were 11 children among the dead. 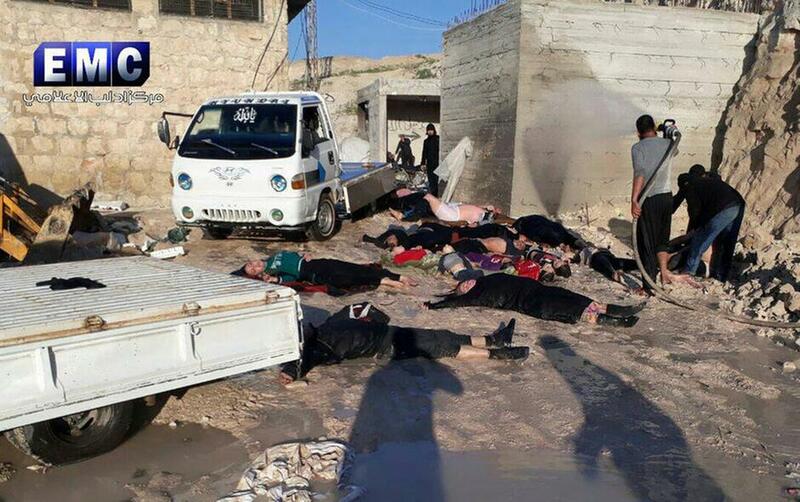 Meanwhile, the Idlib Media Center said dozens of people had been killed. The media center published footage of medical workers appearing to intubate an unresponsive man stripped down to his underwear and hooking up a little girl foaming at the mouth to a ventilator. It was not immediately clear if all those killed died from suffocation or were struck by other airstrikes occurring in the area around the same time. Tuesday's reports came on the eve of a major international meeting in Brussels on the future of Syria and the region, to be hosted by the EU's High Representative Federica Mogherini. There was no comment from the government in Damascus in the immediate aftermath of the attack, which activists said was the worst since the 2013 toxic gas attack on the Damascus suburb of Ghouta that killed hundreds of civilians. 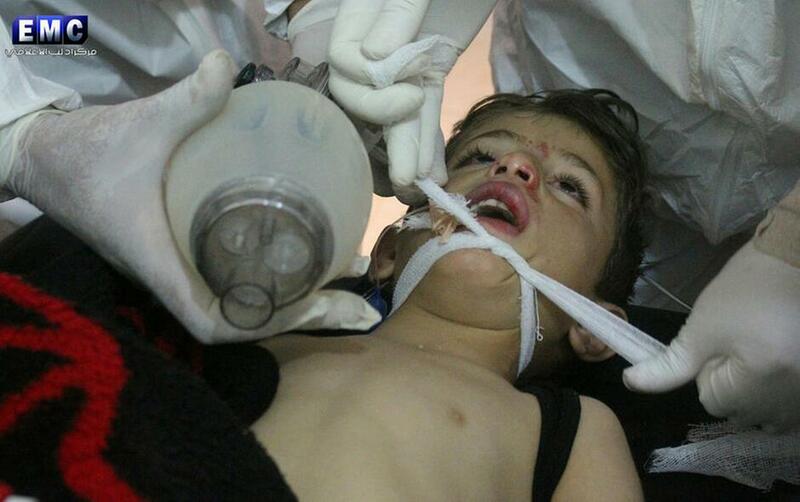 That attack, which a U.N. report said was an attack by toxic sarin gas, was the worst in Syria's civil war.